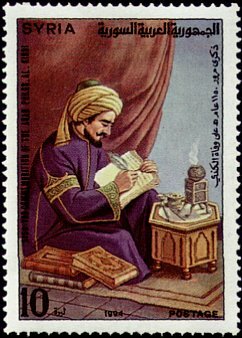 Mediaeval Islamic philosophers are increasingly being recognised for the value inherent in their work, rather than simply as conduits for the transfer of ancient Greek ideas to the Latin West. Al-Kindī was such an important figure in the history and development of Arabic philosophy that there may be a risk of relegating his role to an equivalent channelling of Greek ideas into Arabic. This danger is accentuated by the fact that even many Arabists find al-Kindī’s language strange and difficult to penetrate. Maybe some obscurity is inevitable for one like al-Kindī who worked at a time when the tradition of Arabic philosophy was beginning to find its feet. Terminology needs time to crystallise and idioms might not always be found to transfer the meaning of the source adequately. Furthermore, it might not always be apparent exactly which works were available to an author writing in such a situation. So Adamson’s book plays the dual role of rescuing al-Kindī from the sidelines of philosophy in general and of presenting him to Arabic scholars and philosophers. It is also extremely accessible and, along with texts currently being co-translated by the author and meant as a companion to this volume, should open up study of al-Kindī as philosopher to many more students as well. And of course, I have to include a bit the beginning of everything (though "everything" was contained much less than what we know about the universe today). But what is interesting here is that Al-Kindi's views on this were related to the fascinating debate over the nature of the Qur'an that took place amongst Muslim philosophers and theologians in the medieval times (read more about Mu'tazilla and these debates here - though it is still hard to find a clear-cut group definition). Whether the world is with or without beginning is a question that occupied many in later Arabic philosophy and became, at times, a controversial issue. Al-Kindī may have set the agenda for this debate when he supported the view that the world was created with a temporal beginning. Adamson argues that al-Kindī’s concern probably arises from the disagreements of his time over whether the Qur’ān is created or eternal. In this context, one side argued that if it is eternal it cannot be differentiated from God’s eternality. In order to secure the transcendence of God, and a correct answer to this question, al-Kindī would have been justified in generalising the argument to the entire created order. 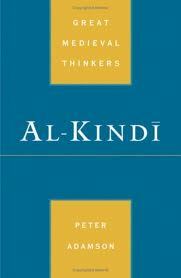 Much of this chapter is dedicated to the Greek background of al-Kindī’s arguments, particularly the works of Philoponous who, like al-Kindī, opposed the Aristotelian view that the world had no beginning. Here too, however, Adamson convincingly argues that al-Kindī’s arguments are more original than has previously been credited. Very interesting. Let me see if U of C has already acquired a copy!